Readers, I'm really sorry I haven't posted in quite some time. Without an internet connection at home it is hard to feel inspired/motivated to blog only on Tuesdays at work--where there is an internet connection but also there is work--so forgive me as I will try to write more often. Also, I didn't really feel like I had any projects to report on since gardening-time is over for the year. Mom saved some seeds though and we have plans for a big fat garden in her backyard and will take a week off in the spring to get it rolling. In addition, I have registered for a non-credit class at SCC called "organic gardening." Speaking of school, and actual credit classes, I am taking the COMPASS test in December which will determine which math class I will be admitted to (auuuuuggggghhhh). I will take said class and go from there as far as my schooling is concerned. Initially I had wanted to do this last year but thought of it much too late in the game. I wanted to try to make nearly all of my Christmas presents for family and friends. Inspired by Tony's sister Katie (queen of awesome homemade xmas gifts) who made Joe (Tony's brother) a bottle of caramel-apple infused vodka for a birthday present, I decided to make some of my own infused spirits for my friends. The hardest part has been finding bottles--lots of them--to give the libations away in. 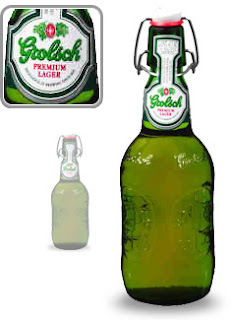 So Tony's been doing his part and drinking plenty of Grolsch beer because I just love the bottles with their nice re-sealing lids. When I told my friend Zach(who bartends at O'Rourkes) that that is why Tony's been drinking them so much he says, "oh, we have a whole box of em' in the basement! You want them?" Yes. So now I've got about 30 bottles (which isn't really even enough yet, so poor poor Tony has to take a few more for the team (I dont' particularly care for Grolsch myself). It's not that I need that many bottles for infused vodka alone...I'm also making Limoncello which Wikipedia defines as: Limoncello [limon'tʃɛlːo] is a lemon liqueur produced in Southern Italy, mainly in the region around the Gulf of Naples, the Sorrentine Peninsula and the coast of Amalfi and islands of Procida, Ischia and Capri, but also in Sicily, Sardinia, Menton in France and the Maltese island of Gozo. It is made from lemon rinds (traditionally from the Sorrento lemon, though most lemons will produce satisfactory limoncello), alcohol, water, and sugar. It is bright yellow in color, sweet and lemony, but not sour since it contains no lemon juice. Limoncello is traditionally served chilled as an after dinner digestivo. I have a really delicious recipe I've quadrupled which means tonight I'll be peeling 40 lemons, putting the rinds in big glass jars to marinate in vodka (currently we have a case of vodka sitting in our living room) for 4 days, then making a simple syrup of sorts to add and let it all sit for a month or so. The limoncello is going to go in a basket with some homemade veggie spaghetti sauce mom and I canned last Sunday, some homemade pasta Tony and I will make in a few weeks and some biscotti I'm baking soon. It's a big project for sure, but I've set some deadlines for myself and it seems to be coming together well. The only other projects in the works are pie-baking with Beca for Thanksgiving (I've never made a piecrust), and my winter-self-enrichment project (haha) where I'll be reading a book a week (don't judge my choices gentle reader) and doing a drawing a day. All of which I will really try to post weekly at least. Okay, this is really getting too long and probably boring so, let me know what you think and if you have a delicious biscottti recipe (or any tips seeing as how I've never made it) I am still trying to decide on one.